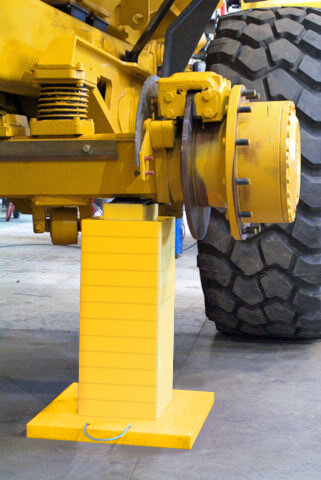 Westley Plastics supply and manufacture the Block System – the safest way to block, crib and support machinery. Originally developed for the quarry industry, the block system has been designed to replace traditionally used timber supports with a high integrity, load tested alternative. Timber supports are untested and can split, rot or crack, meaning working underneath a vehicle supported in this way can be dangerous and potentially fatal. 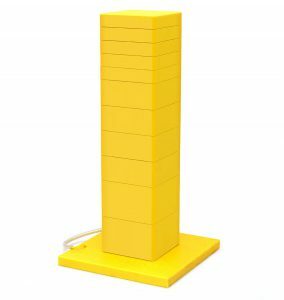 The Westley Plastics Block System does not split, rot or crack and has been tested and certified to 200T ensuring workers are safe whilst giving peace of mind to health and safety officers and managers. The tough, high impact material has been designed specifically for the job required and has been used for cribbing and supporting quarry vehicles, heavy machinery, trains, trams, cranes and even temporary buildings. 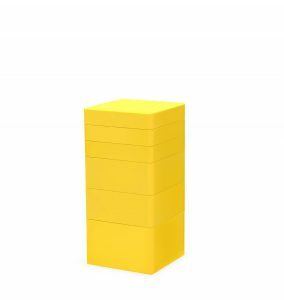 Due to its interlocking design the height can be easily adjusted and the whole Block System is lightweight meaning it can be installed and removed quickly without a crane or forklift. 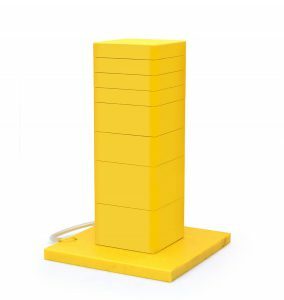 Westley Plastics are able to offer a variety of bespoke caps (axle V, jack stand, rubber cap), making the system adaptable to a variety of applications, whilst still retaining its load rating certification. 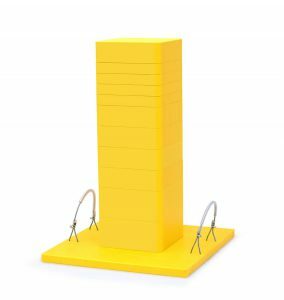 For more information about our Yellow Block System or any questions regarding our engineering plastics, contact our sales team today for more information.